You can turn an ordinary wood drawer into a storage space for your delicate jewelry by lining it with velvet fabric. Velvet fabric, which features a plush nap, has a soft and smooth surface that will protect the jewelry items from the rough wood. A velvet liner will also give the storage space an elegant look. If the velvet liner gets dusty or dirty, you can clean it with a few simple techniques. A velvet drawer liner is as decorative as it is useful. Go over the velvet lining with a lint roller to remove any dust, lint or other small particles. Wrap any type of tape, with the sticky side out, around your fingers, and use it to remove the debris if you don't have a lint roller. Fill a small bowl with warm water. Add a few drops of gentle liquid dish soap to the water and mix the solution with your fingers or a spoon until suds form. Dip an old toothbrush or a fingernail brush into the soapy water. 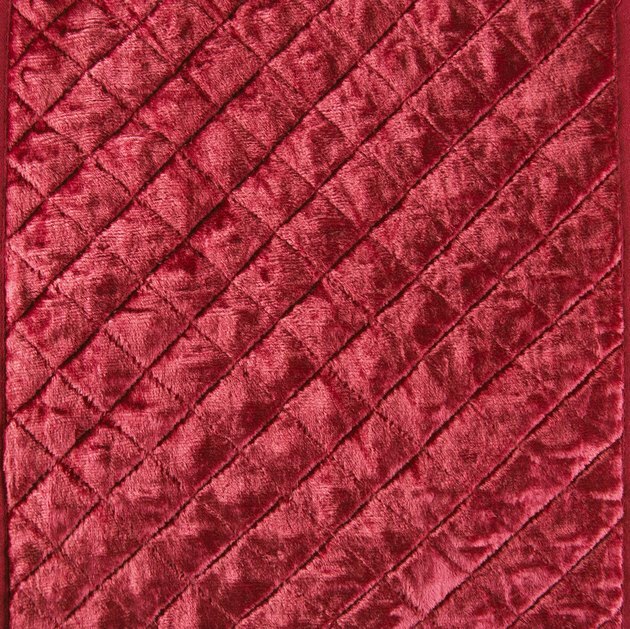 Rub the brush gently into the velvet fabric to remove any stains. Dab at the velvet with a clean, soft cloth to absorb the water and dry the fabric. Leave the drawer open to allow the fabric to completely air dry before replacing the jewelry.